SMART risk response planning is an essential aspect of project risk management. Most of us will have come across the S.M.A.R.T acronym at some point during our working careers. More often than not, it is used for setting goals and objectives in career development plans and other personal performance measurement tasks. I have also seen the “R” in S.M.A.R.T stand for “Relevant”, but I prefer to use it as meaning “Realistic”, as I consider the “S” in “Specific” to include relevance. When it comes to managing risks, using the S.M.A.R.T principle is an especially useful technique to help ensure the effectiveness of proposed risk response plans. It is also a sound basis for developing effective project risk management software solutions and is integral to helping ensure that any application that applies the S.M.A.R.T rule is an effective risk management tool (see our previous blog post: Project Risk Management Software – Does it actually help?) rather than just being a risk identification and status reporting tool. Specific: Ensure the response plan is specific and relevant to the nature and severity of the risk. Measurable: Ensure the effectiveness of the response plan can be measured in such a way as to be able to accurately revise the ranking and status of the risk after the response plan has been implemented. Achievable: Ensure the response plan is achievable in the sense that it can be successfully implemented and is not beyond the means of the project budget or resources. Realistic: Ensure the response plan is realistic in the sense that its results can either be guaranteed or, at the very least, it stands a good chance of succeeding. Time-Bound: Ensure there is a definitive date identified by when the response plan needs to be implemented in order for it to be successful. Due to an upswing in the economy and project related activities, there is a risk that the project team may lose some of its key personnel to other projects or organisations. As an attempt to mitigate the probability of occurrence of this risk event, the project manager proposes to hold a corporate golf weekend away in the Bahamas, midway through the project, to boost team spirit and encourage continuity in project personnel. Is this risk response plan S.M.A.R.T? Firstly, is it specific? No, as it does not directly address either the source of the risk or its potential impacts, apart from trying to create a general harmony in the project team members, irrespective of whether they are at risk of leaving the project or not. Is it measurable? Not at all. Even if the key personnel in question were all golf addicts yearning for a weekend away, it is not possible to measure the impact this may have on their loyalties to remain with the project. Is it achievable? Well, that really depends on the project budget, location, and schedule. If the project is being run in, or very near to, the Bahamas and there is a dedicated recreation officer assigned to the project, who can arrange such events at a time that is neither disruptive to the project nor over-booked at the golf resort, then perhaps. But, in any other circumstances, this does not seem like an achievable plan. Is it realistic? Not unless the project manager happens to know that every key member of the project team is a golf addict, who would value a weekend away in the Bahamas more than an offer from a competing project or organisation. Is it time-bound? No, it is not. Even though the project manager proposed a specific time and duration for the event, this does not align with the timing of the risk event. If market conditions are favourable, the project could lose team members at any time before, or after, this response plan has been implemented. A tailored incentive scheme to be implemented at the start of the project, to encourage all key personnel to remain on the project until their scope is complete. Assigning competent deputies to all key personnel within four weeks of project commencement, who are able to take over their duties with minimal disruption if the situation requires. This is a specific two-pronged response plan that directly addresses both the risk source and impact. It is measurable in that it involves direct engagement with the personnel-at-risk, to establish a quantifiable mitigation cost and level of risk assurance. It is achievable on condition that the project has set aside sufficient contingency, and/or can justify the additional cost against project benefit. It is realistic in that the proposed response plan addresses the risk in a manner that effectively minimises the threat and reduces the impact. Finally, it is time-bound in that the timing for implementation of both mitigation measures is such that the threat will be mitigated before the risk event occurs, and the impact will be mitigated before any personnel who have resigned work off their 4-week notice period. By ensuring all risk response plans are S.M.A.R.T, the effectiveness of these plans can be continuously analysed and measured. If any particular mitigation measure or response plan does not achieve its objective, each of its S.M.A.R.T components can be assessed, revised, removed or replaced, depending on where the problem lies. 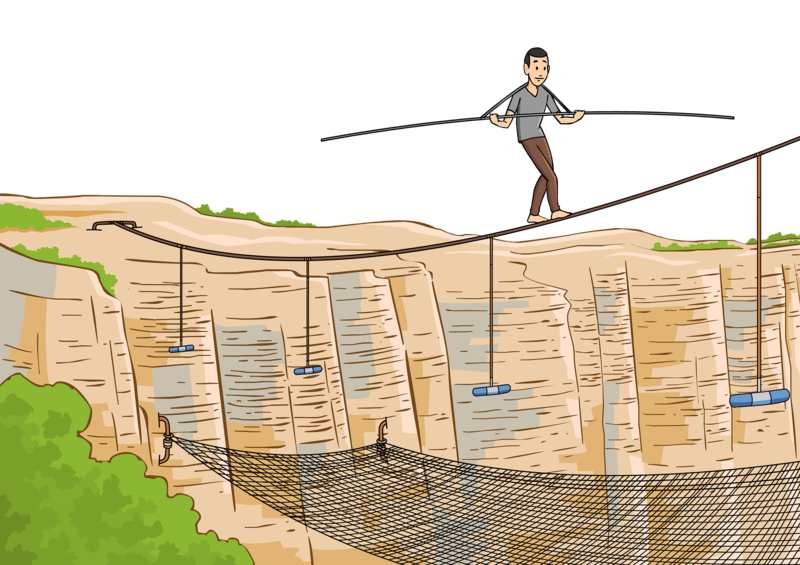 Previous article:Project Risk Management Software – Does it actually help?